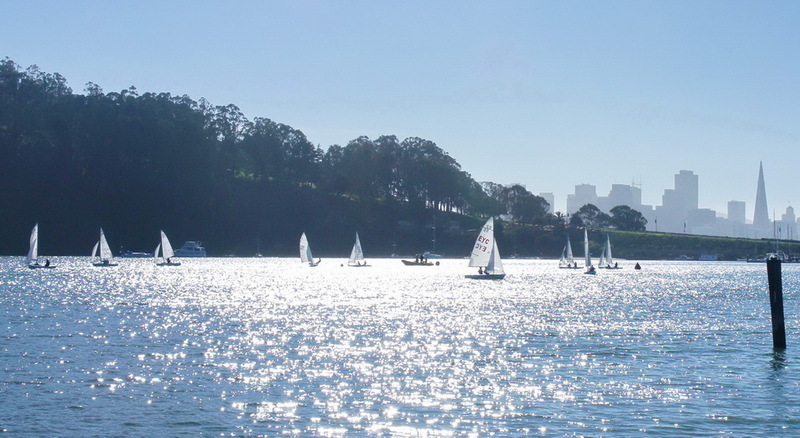 School’s back in session, and Envision Academy Sailing Team (E*A*S*T) is getting an early start on Fall practice. Clipper Cove hosted hundreds of High Schoolers, coaches and parents in 2016. Chicken-in-Waffles anyone (they’re really good). After dealing with a nearly-deflated trailer tire last week (tenants – check those valve stems ! ), I connected with two E*A*S*T students getting an early start on Fall practice. 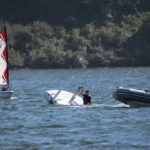 Seeing them out tuning up with their TISC coach reminded me to highlight great progress for their team, as well as a ton of smiles from hundreds of High School skippers, crew and parents that utilized Clipper Cove this year. High school sailboat racing offers opportunities to learn all kinds of life skills – teamwork, socialization, decision making, integrity, fairness, focus, communication, leadership and more – while developing good stewards of our Bay. 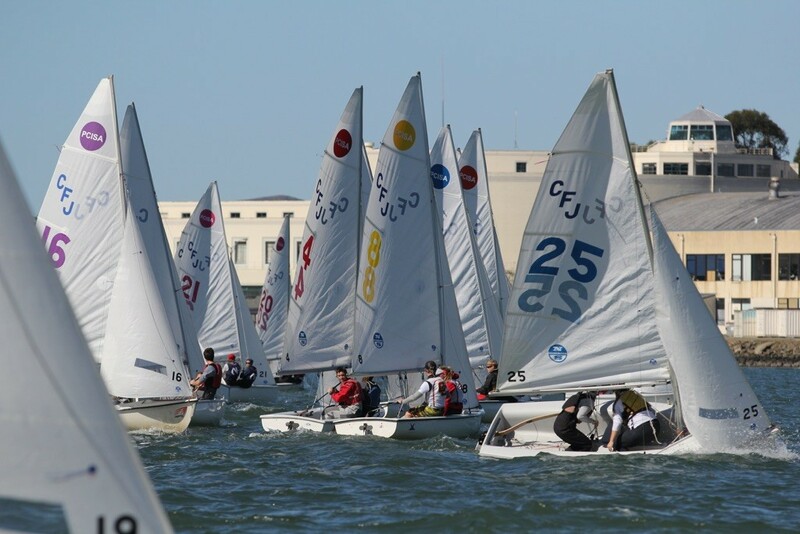 Because of the steady winds, protected waters, and public access to boats and docks, Clipper Cove offers an ideal location for high school kids to learn sailing then progress to serious racing. Oakland’s Envision Academy has a tremendous track record for placing their seniors in college. 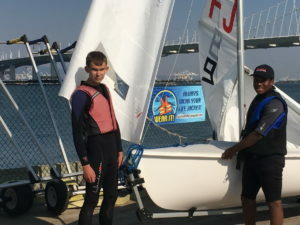 Two years ago TISC teamed up with OCSC to start the Envision Academy Sailing Team (E*A*S*T) to provide not only life skills, but also an extra boost that provides these young sailors with experience they can take with them to college – a big plus for making new friends and expanding their secondary school experience. And to provide these students with additional incentive as well as social connections to stay in school. You may have seen posts from Spring practices earlier this year. 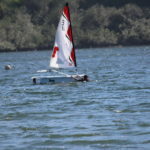 It was a windy afternoon and the team used the breeze to their advantage for practice in BUGS (remember when Team New Zealand raced BUGS on Clipper Cove). Mock racing and re-capping rounded out much of the day’s practice. 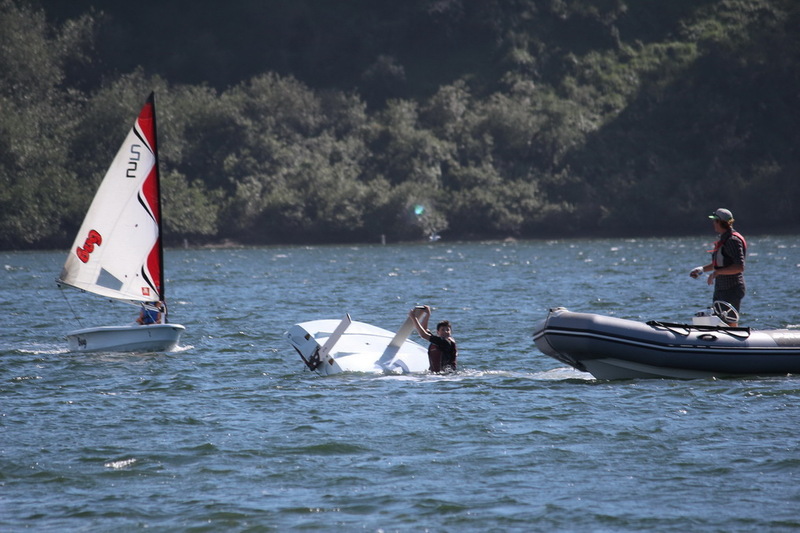 And took advantage of those winds to get in some capsize drills as well – capsizing under supervision then righting and recovering. 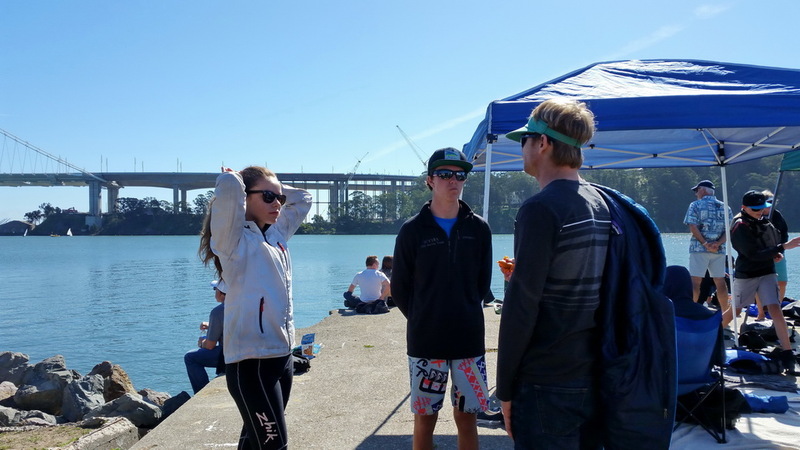 Earlier this year the team competed in their first regatta, PCISA Norcal #2, and are getting even more psyched for the Fall 2016 season. What great progress since E*A*S*T started sailing in 2014. 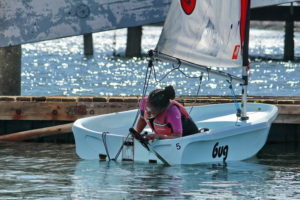 Over 120 high school students from 30 schools enjoyed sailing on the cove at this regatta. 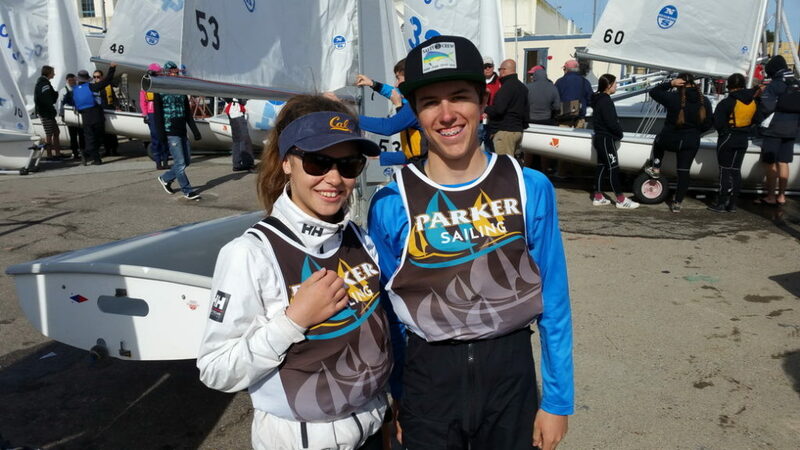 Thanks and a tip of the hat to Steve Harris for sharing his photos from the February 2016 Golden Bear Regatta at TISC. Much Appreciated. 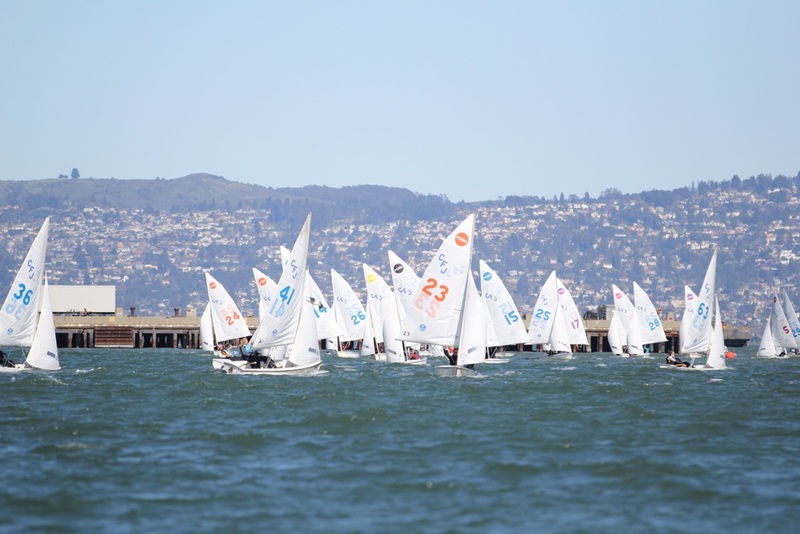 All toll this year 59 Teams from 43 schools competed at TISC, resulting in well over 350 sailors competing on Clipper Cove, as many teams brought multiple crews. Including coaches, chaperones and volunteers, the Cove hosted well over 500 High School students and parents in 2016. The unique characteristics (steady wind, protected waters, minimum current and safe access) served up by Clipper Cove make it unique in all the bay, and actually in Northern California. 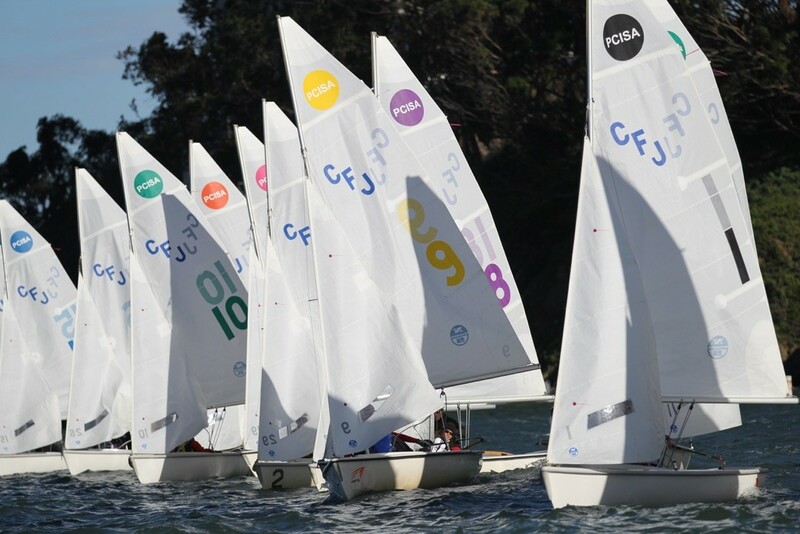 That’s why hundreds of youth, coaches and parents descend to the Cove for races sponsored by the Pacific Coast Inter-Scholastic Sailing Association (PCISA). 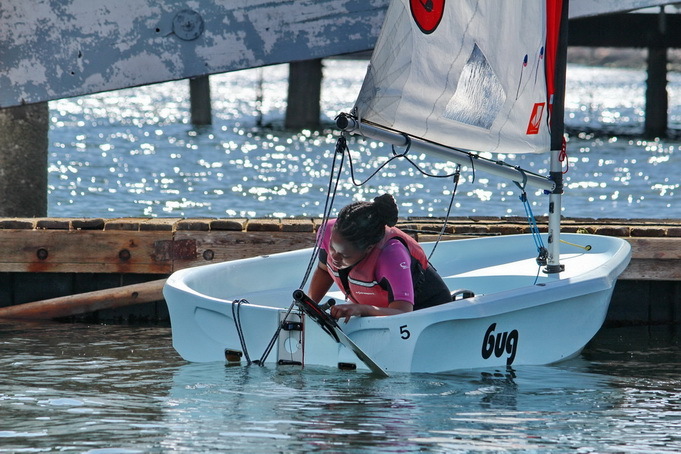 High school sailing regattas use a format that maximizes participants and number of races. 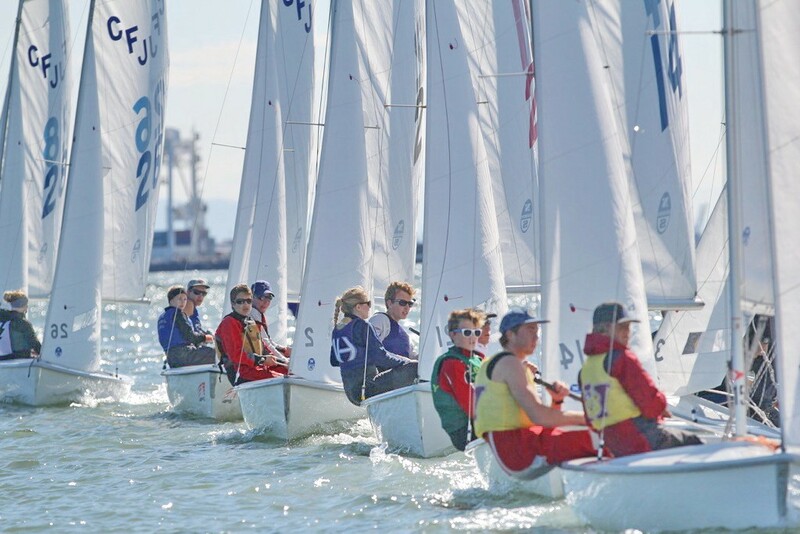 TISC adds our own unique capabilities to these regattas – docks 5 minutes from the race course so teams can switch in/out quickly, and a venue where coaches and parents can view the races. Faster turn-around close to the docks means more racing for the kids. 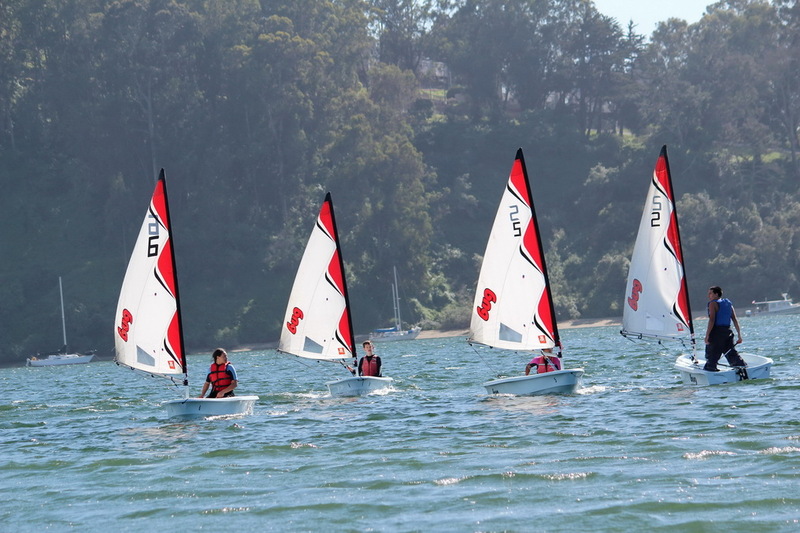 And while it’s a “tight fit”, Clipper Cove delivers the space to just barely house a high school race course, as shown by a few photos from our 2015 High School Sailing on Clipper Cove blog (photos courtesy of Lyn Hines). 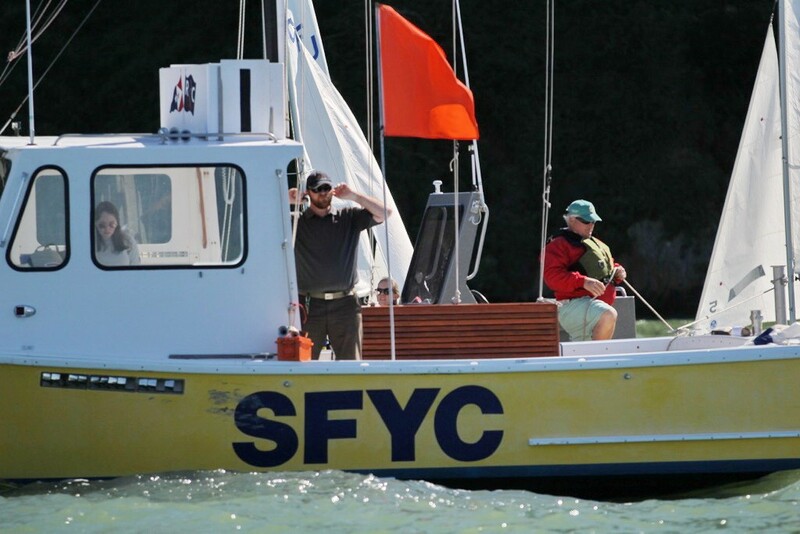 To provide an adequate course for our normal rotation of 32 boats per fleet, the course need to be about 1/3 of a mile long, which is about the minimum viable first beat length for a fleet of 32 boats. 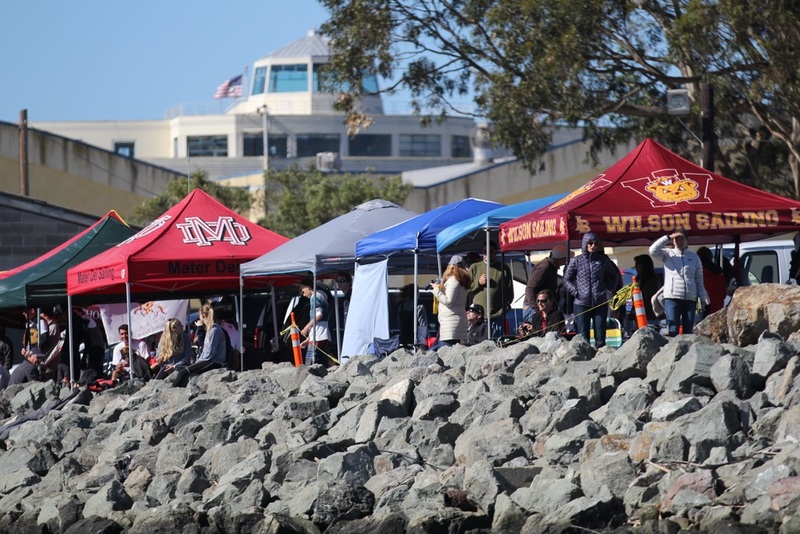 Even today, Clipper Cove is a VERY confined space already to run proper races like Pacific Coast high school regattas. The starting line for High School races almost always ends up as far east and south as possible in order to have a square course with the weather mark in the NW corner of the cove. 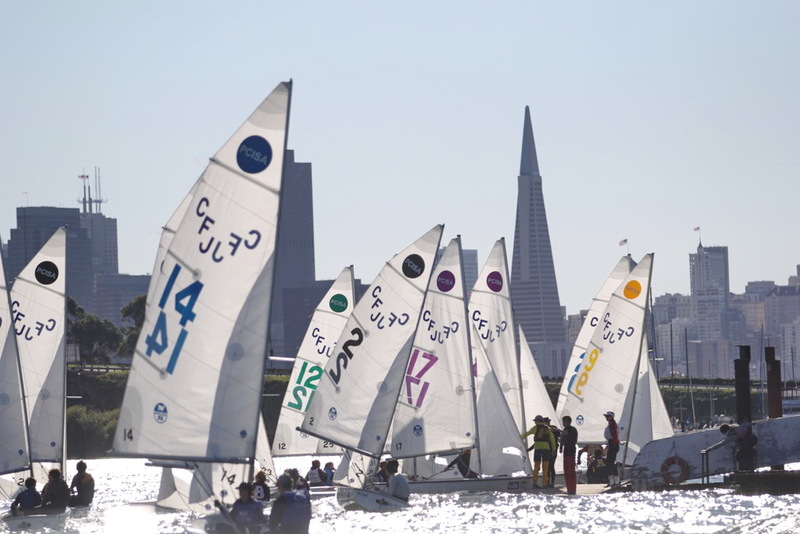 There is a shoal that even FJs run aground on in that SE corner, so being down there is tide specific, although experienced race PROs such as those from San Francisco Yacht Club have often anchored just offshore of the building under the western section of the Bay Bridge. 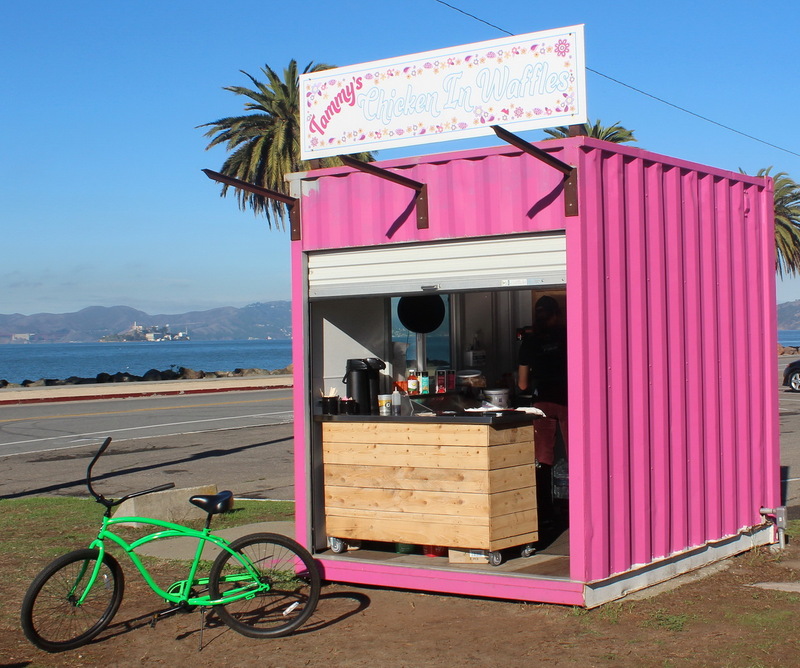 “Pacific Coast Interscholastic Sailing Association could not survive without non-profit community sailing centers like Treasure Island Sailing Center. 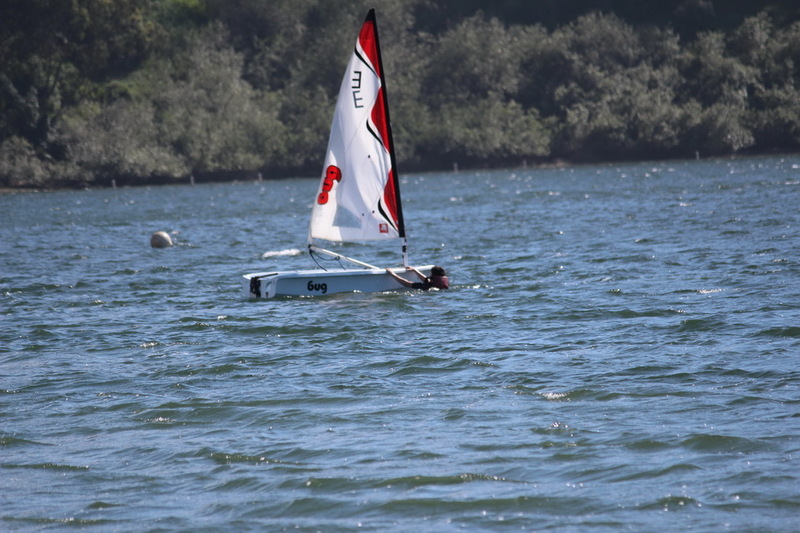 They provide the only low-cost public access for high school sailing available in many locations in California. 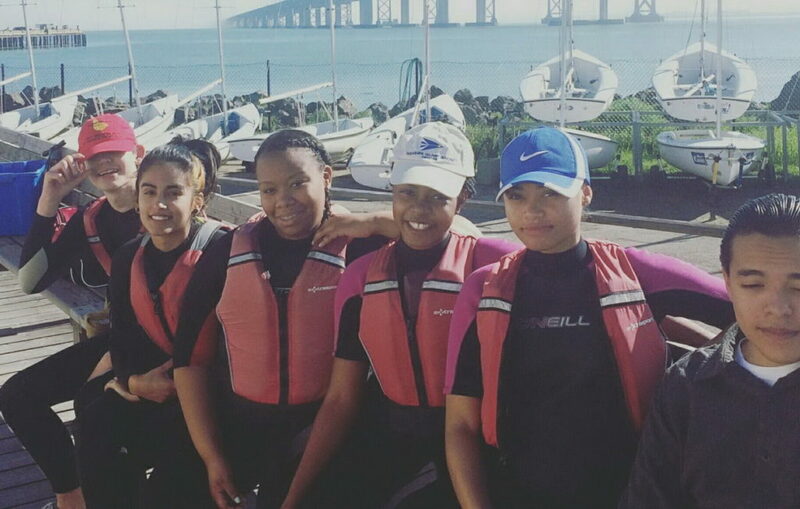 These organizations introduce thousands of people, children as well as high schoolers, to the joys of access to the water with safety and proper equipment use as a key ingredient of their programs. 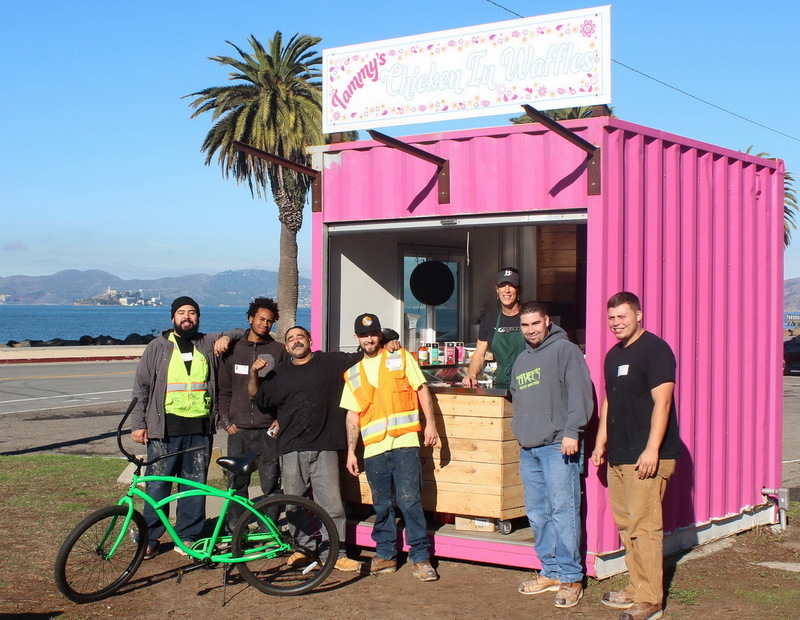 It was well past my dinner time when I left TI after changing tires, checking in with E*A*S*T team and catching a bit of the Cal Sailing practice. Kinda hungry by then. 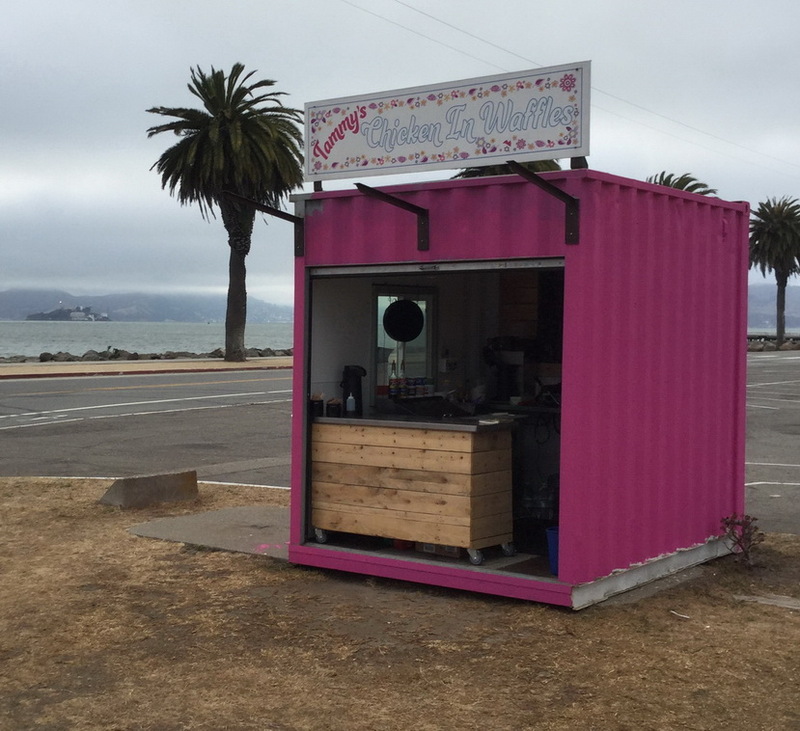 I was pleasantly surprised to find the new “Chicken in Waffles” food stand at the corner of California and Avenue of the Palms – just north of the traffic circle. This recent addition to TI serves up a tasty, unique and value-priced plate full of “hockey puck” sized waffles with grilled chicken tenders inside. Plus other items including ice cream of course ! Chicken In Waffles Food Stand (Check back for photos of the new new lighted sign). October Update – On a subsequent visit to TI I caught up with a few very happy customers. 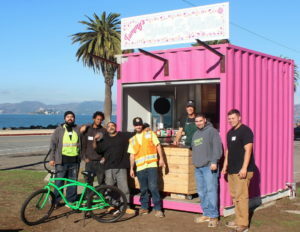 And a brighter, sunny-day photo.